The new policy will introduce a host of additional requirements for every new build home. These include required floor areas so tenants have more space, 10% of new homes being accessible for wheelchair users, and dementia friendly elements introduced. Other improvements mean that all new homes will be more flexible and therefore suitable for a longer term. Extra advice will be given on how best to design external areas too. The new standard was discussed at a meeting of West Dunbartonshire Council’s housing and communities committee yesterday, before being agreed. 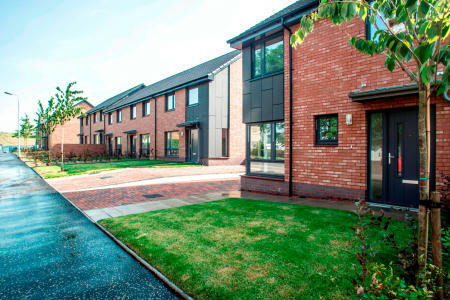 Councillor Diane Docherty, convener of housing and communities, said: “We are committed to improving the lives of our tenants and we are proud of the steps we have taken so far to ensure our housing is not only affordable but also pleasant to live in. “This extension of the design standard shows our strong commitment to providing not just houses, but homes. All new developments must meet the Design Standard and also the Silver Standard for Energy Efficiency - meaning they will keep residents’ bills down as well as minimising their impact on the environment.